Our telephone letting advice helpline is one of our key membership benefits and is an essential element of the service we offer our members. SAL specialist advisers can help with most questions you have regarding letting your property in Scotland – whether it be checking details of the latest legislation or asking how to deal with an unexpected situation, we are here to assist you. 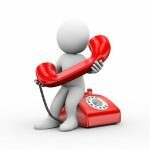 Unlimited access to the SAL telephone advice helpline is FREE for all SAL landlord and letting agent (CLA) members. Our helpline operates on a call back basis. We aim to respond to all requests on weekdays within 24 hours and the call back is usually much sooner. Please let us know if your advice need is urgent and it will be prioritised. If emailing, please include your name and contact number plus either your membership number or first line of your correspondence address. Our team is available 9.00am – 5.00pm, Monday to Friday and outwith these times by appointment. The SAL office will close for Christmas on Monday 24 December and reopen on Thursday 03 January. We will reply to emails and phone messages as soon as possible at that time. Thank you. Existing members can log in to pre-fill the advice request form. Our advice service covers practical guidance with Scottish private lettings. We don’t provide business and taxation advice and recommend that members take advice on this specialist field from a good accountant. If you also let properties in England or Wales, we can assist you via our Residential Landlords Association (RLA) reciprocal membership deal. Please contact us to add this to your membership if required.